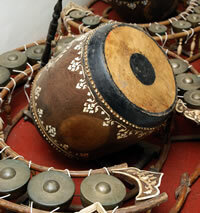 Cambodian traditional music is very distinct in nature. It is considered to be one of the most important heritages of this beautiful land. These ancient melodies come from a thousand year old history and thus it describes and tells stories from a thousand years ago. Learn the art of playing a traditional instrument of your choice. 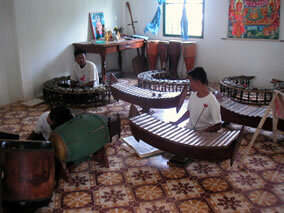 Discover Khmer music and bring home the culture with you. •	With an additional USD 5, this sightseeing tour can be done with a private car. •	Minimum 2 pax per tour / group. If you wish to go on a private charter (one guest and guide only) and as per our tour policy, we will charge you on a 2pax basis. •	Tour guide and transportation (Tuk-Tuk) included. •	Group and combined tours can be arranged up to 6 guests. •	If there are other people joining the tour, then the time will be slightly delayed because of the guest pick-up route is varied. •	This tour is subject to the school’s operation hours and availability of the students.